In this week’s issue we are doing our very first podcast crossover! The boys from The LanternCast visit the Doctor’s Office through the power of the Internet! 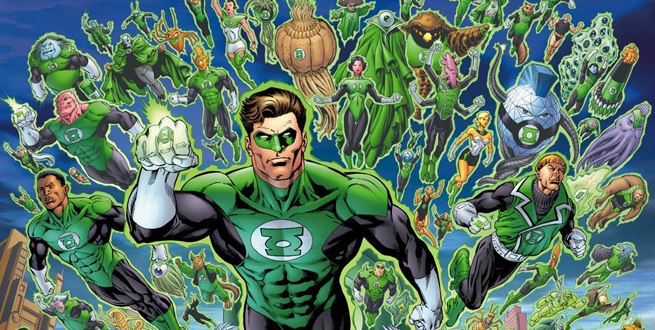 We use the Green Lantern expertise at our disposal to answer some amazing questions from listeners like you! Green Lantern vol. 2 #188 – The 1st appearance of the Book of Oa. DC Comics Presents vol. 1 #26 – An imposter Green Lantern uses the ring to create kryptonite. Batman: The Dawnbreaker #1 – The Bruce Wayne of Earth -32 overrides the limitations and safety features of the Green Lantern ring due to his incredible willpower. Superman: Last Son of Earth #1-2 – In this two-issue story, an Earth-born Kal-El is rocketed to Krypton and eventually becomes the bearer of a Green Lantern ring. Brightest Day – Throughout this series, a resurrected Boston Brand, aka Deadman, wielded a White Lantern ring as he assisted the other resurrected heroes and villains on their journeys. Blackest Night #6 – Lex Luthor is temporarily deputized into the Orange Lantern Corps. Untold Tales of the Blackest Night #1 – Black Lantern rings attack Ragman and destroy his Suit of Souls as every one of the trapped spirits is resurrected. Blackest Night: Superman #3 – Connor Kent uses Psycho-Pirate’s Medusa Mask to manipulate the emotions of those around him and disrupt the Black Lantern rings of the resurrected Psycho-Pirate and Kal-L.
Sinestro vol. 1 #17-20 – Sinestro, his Corps, and an assortment of other temporary allies unite against the Pale Bishop, who attempts to rid the universe of all emotion. Green Lantern Corps vol. 2 #17 – Sodam Yat is made the host of Ion, the entity of Will, in order to take on Superboy-Prime. Green Lantern: New Guardians vol. 1 #31 – The first and only appearance of Raga, the only surviving relative of Mogo, the sentient planet. Larfleeze vol. 1 #3 – Former members of the Orange Lantern Corps are resurrected, freeing them from their construct forms. What brings you back to GL? What are the rules of the GL ring? Barring any safety features the ring has built into it, could you create kryptonite or Nth metal? Where is the lantern exactly? Is it always available? Can Lanterns will themselves to move at super speed or instantaneous travel? If one has read very little GL, where would you recommend starting? Favorite/least favorite non-Lantern to wield a ring? Who do you want to see wield a ring (any or all spectrums) that hasn’t yet? Would Lanterns be totally useless against Psycho Pirate? If you were to add a color and emotion, what color would you designate which emotion? Is Sodom Yet stronger than Superman or only when he is Ion? Other than Mogo and his brother, are there other living planets? Larfleeze has an army of orange constructs, including Glomulus, is this a special power unique to the Orange Lanterns?